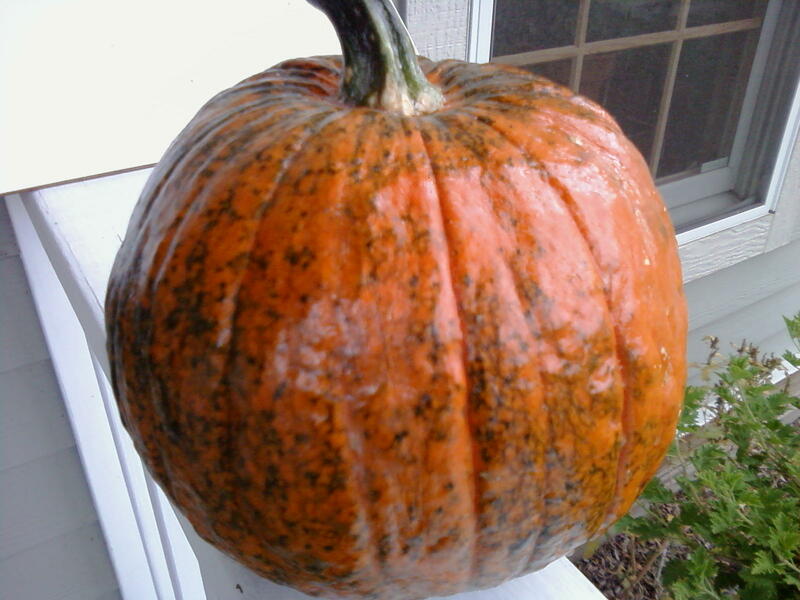 I received a pumpkin from one of the realtors who always delivers pumpkins to the neighborhood. Mine is a small, lovely green stripy orange one, and true to form, a squirrel already nibbled a bit. A little nibble that must have been interrupted. 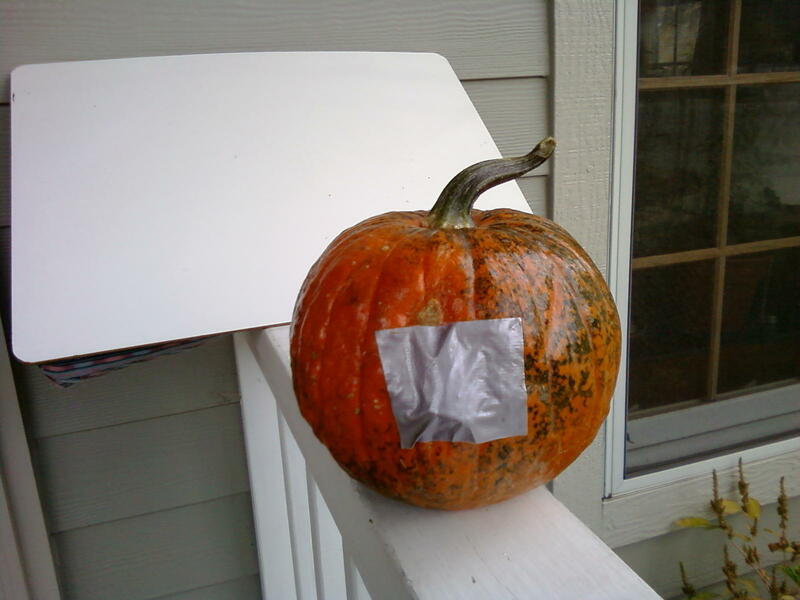 I took the pumpkin in, cut out the bitten part, set it in the yard for the squirrel to finish, while I hoarded the pumpkin in the fridge. Eating the Halloween pumpkin seemed rude, somehow–so I went on the internet to see what measures to take to guard against squirrels. The first time I got the gift pumpkin, a nice sized one, the squirrels demolished it in minutes, leaving only bits and the stem. Same thing the next year, even as my neighbor’s pumpkin remained unscathed. The third year, I don’t think I got a pumpkin. I’m not sure it really works. What do you think? I was thinking Kenzo…but I face the tape to the wall. Yeah, Kenzo…put a little color on that duct tape. I guess the squirrels use the stem to sharpen their teeth. They’re so resourceful… dinner, then floss. Nice variation on the usual jack-o-lantern!! !